I didn’t want to review two books I didn’t like in a row, but I promise I’m getting to reviews of several books I really did enjoy, so I might as well get this one out of the way first. 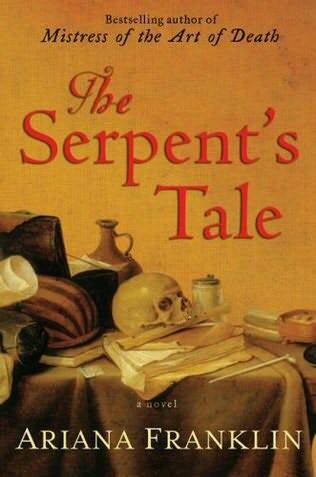 I read Ariana Franklin’s The Serpent’s Tale because I enjoyed her other novel The Mistress of the Art of Death, which follows the same main character Dr. Vesuvia Adelia Rachel Ortese Aguilar (yes, it IS a mouth-full). Set in the 12th century, Adelia is a woman of science and deduction, at a time when women weren’t much of anything other than wives or nuns. In The Serpent’s Tale, Adelia’s forensic skills are called upon when the mistress of King Henry II is found murdered in her tower. Most suspect the Queen, Henry’s estranged wife, and if this is confirmed it could set the country into rebellion, war, and complete turmoil. I liked The Serpent’s Tale much less than The Mistress of the Art of Death for several reasons. I thought the plot and the crime were much less intriguing than in the first novel. I also thought that Adelia wasn’t portrayed as strongly as she came across in the first. 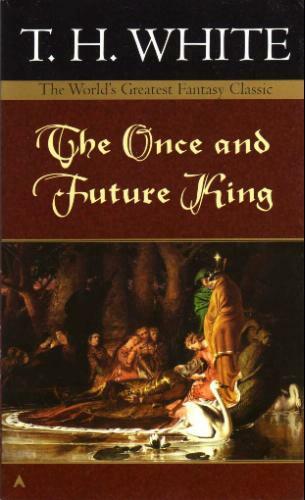 Furthermore, much of the book, especially the second half, lacked anything much happening at all. There is less humor in this novel, and less wit, and the murder is less frightening. I do however like the idea of a strong, intelligent, woman scienctist at a time of unreason and superstition. I also thought the scenes Franklin described were quite beautiful and full of imagination. I especially liked the twisting labyrinth that surrounds the slain mistress’ tower, it was very Alice in Wonderland/Sleeping Beauty, if that makes any sense at all. Basically, if you enjoy historical fiction, or forensic-style fiction, I certainly recommend The Mistress of the Art of Death, and if you enjoy that one, you still may want to skip The Serpent’s Tale. Read my review of The Mistress of the Art of Death, also by Ariana Franklin. This entry was posted in Book Reviews, General Fiction and tagged Ariana Franklin, Historical Fiction, Mistress of the Art of Death, The Serpent's Tale. Bookmark the permalink.